In ancient Eastern cultures breathing is seen as fundamental to life-long health. This has become lost in the modern world, leaning more on pharmaceutical companies to provide us with ‘better health’. Learning to breathe more effectively can have a profound effect on how all of the systems in our body function. Oxygen intake is vital to staying alive. Yet, by breathing shallowly into the upper chest without knowledge or awareness of what you are doing, over years this habit becomes ‘set’ and it is difficult to regain a ‘whole’ breath. As a consequence the aging process can be hastened and your health may deteriorate. Research says that the aging process and poor breathing habits can account for a 20% reduction in oxygen levels in the blood. Poor breathing also has a negative affect on the functioning of the brain, heart, digestive system and immune system. The less we move the body, the less the body moves. As we age and do not move the body frequently through a complete range of motion, areas become ‘stuck’. Joints, muscles and soft tissue start to get stiff and tight. When breathing habitually into the upper chest, the muscles around the ribs, abdomen and thoracic and lumbar spinal area become weaker, less flexible, less elastic and more restricted through lack of use. This causes further difficulty as stale air can be left in the lung tissue, reducing lung capacity to take in fresh oxygen. After some time breathing into the chest, you will reduce the ability to take a long deep full breath (known as an abdominal or diaphragm breath). The rate or pace at which you breathe also has a profound effect on the automatic relaxation response in your body. Breathing into the chest or shallowly simulates the stress response (sympathetic nervous system) and causes a knock-on effect in the body to deal with the incoming stress, getting ready to ‘fight or flight’. Doing this chronically keeps your body in a permanent state of stress, causing adrenal exhaustion, stress on the heart, insomnia, lack of concentration, poor memory, slow digestion, heightened emotions, inability to deal with everyday occurrences, high blood pressure, raised heart rate and a weakened immune system. As we age, the ribs build up calcium deposits which causes the chest and ribs to become more rigid. The muscles and soft tissues degenerate, becoming weaker and less elastic, whilst within the lungs the airways start to reduce in size and the tissue in the lungs also looses the elasticity. This natural aging process affects your breathing making it more difficult to take a whole breath the older you get. When you combine the aging process, a sedentary lifestyle and no awareness on the breath, the effects on respiration are compounded. It is not possible to stop the body aging, however it is possible to look after your body so that the aging process is more natural. To practice ‘breathing exercises’ frequently will help to strengthen your respiration system so your whole body will benefit through more efficient functioning and oxygen supply. Used for stillness meditation practices, some Qigong sets and Tai Chi forms. Different styles of Tai Chi and Qigong sets use a variety of breathing methods. The two main breaths used are abdominal breathing (known as the Buddhist breath) and reverse breathing (known as the Taoist breath). Deep breathing no matter of the method is a fundamental part of Tai Chi and Qigong practice. We train the breath to make full use of our lungs, breathing deeply and gently in a circular way so that there are no gaps or pauses. We regulate the breath and learn to pace the breath to movement, training the breath to be longer and consistent. By paying attention to body alignment and appropriate posture, this helps our breathing function better. Some breathing methods are used for power, others for relaxation. 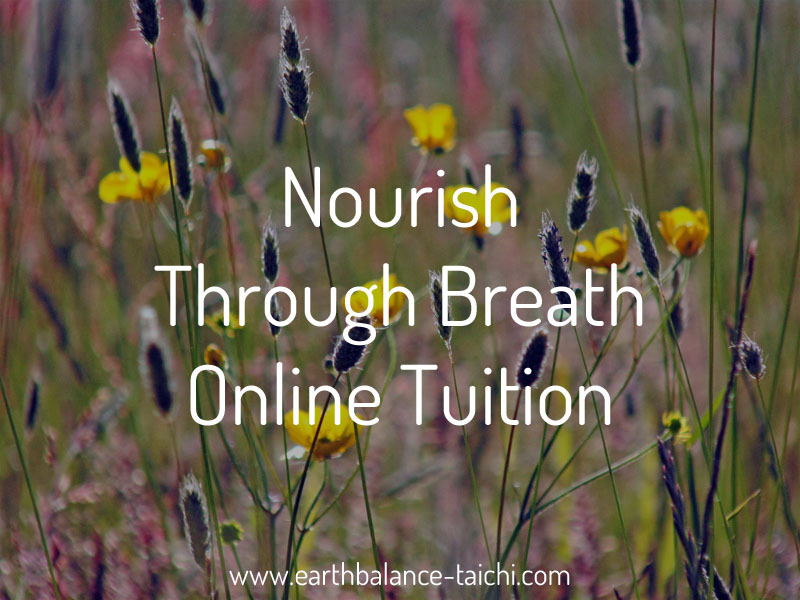 Instructor Nicola is passionate about sharing the power of breathing with her students. She provides live online private tuition using Skype and/or Facebook video call. 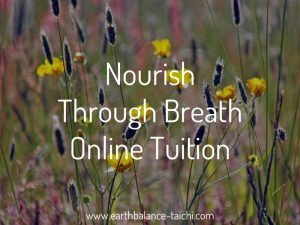 Teaching you Eastern and Western methods that will help you towards a regular meditative breathing practice. Your online class is one-to-one private tuition that is set to your pace, style of learning, needs and experience, all from the comfort of your home. New beginners are encouraged, this service is open to everyone. Visit this link to find out more about SKYPE and/or Facebook video call tuition with instructor Nicola. “Breathe for Better Health” by Leigh Erin Connealy, M.D. “Tai Chi Chuan Breathing” By William C. C. Chen, Jan 1, 2007.